Serving Colleyville, Southlake and Keller area, Elite Skin and Lash recognizes each individual is unique and specializes in catering to your personal needs. Using the finest skin and body care products available, Elite Skin and Lash offers an array of treatments, therapies and services ranging from face massages, facials, wraps and scrubs to microdermabrasion, PCA peels, eyelash extensions, waxing, and make-up services. Relax and unwind while delighting in our signature spa treatments or clinical results driven treatments knowing that they can be customized to meet your specific needs. A personal consultation and skin analysis assist in determining the specific treatments. All facials include recommendations for homecare to enhance results. Come to Elite Skin and Lash if you are looking for the best in skin care services. Our cleansing facials are great for any skin type and can help treat acne and aging skin! Make us your only stop for professional skin care services and you will not be disappointed! Contact us for Customized Facials, Microdermabrasion, PCA Peels, Micro-Needling, Bio-Facelift, Eyelash Extensions, Body Treatments, Lash & Brow Tinting, Waxing, and Make-up services performed by licensed Estheticians in a quaint, cozy, and inviting environment. Our job is to make your visit the best parts of your day. Your experience begins when you walk through the doors into our office, instantly relax to soft music, refreshments and special touches that are await you. We have the highest professional standards and the highest client retention rate among the spas in the Colleyville, Southlake and Keller area. Many of our clients experience regular skin treatments and eye lash extension services with our money saving packages. The growth we have experienced has exceeded our expectations, and we are honored that many of our clients recommend us to friends and family. Samantha is a highly professional, licensed master Aesthetician, laser technician and healthy skin advocate. 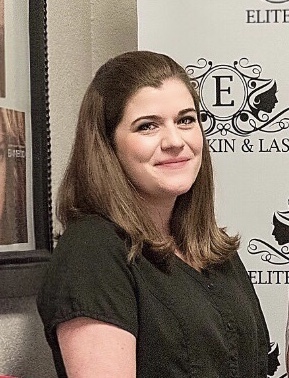 She is the owner of Elite Skin and Lash which is an elegant VIP boutique spa in the heart of Colleyville Texas that specializes in acne, pigmentation, age management, lasers and is a master eyelash extensions technician. Samantha has close to 9 years of experience and has enjoyed helping hundreds of men and woman to achieve total skin transformation by pairing the best in class products and cutting edge therapies. She extensive training in many modalities including lasers as well American and European techniques. Samantha’s expertise, extensive knowledge and non-stop continuing education is what allows her to produce visible and lasting results. 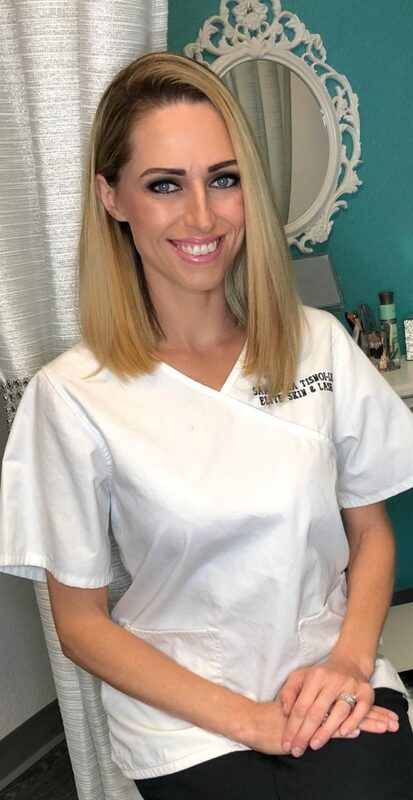 Samantha believes that everyone deserves to have healthy, balanced, clear and youthful skin which is why she offers both clinical and holistic options when creating her patients customized treatment protocol. The main goal of Samantha’s treatments is for the patient to see immediate improvements. She also designs a home maintenance routine to achieve lasting results. Samantha graduated as Salutatorian at the top of her class from Ogle’s 750 hour Esthetics program. Besides holding an Aesthetician licenses she holds a professional laser license is PCA certified and a master eyelash extension specialist. Samantha has been in the modeling industry for many years and is very skilled at applying flawless day and evening make-up for all occasions. As a model she truly understands the impact looking ones best can have and her goal is to make each patient look and feel his/her very best. Samantha is looking forward to having the opportunity to earn your trust and loyalty while providing you with superior services. Angela Allen attended ATI school for Massage therapy and has been a Licensed Massage Therapist since 2011. Angela has a passion for helping others through her knowledge of anatomy, in-depth massage therapy techniques and through her holistic studies. Angela has helped a wide array of people presenting with many different health conditions, problems and ailments. Angela has successfully treated clients such as professional athletes, marathon runners, dialysis patients, clients that suffer from fibromyalgia, tendinitis, migraines, sleep deprivation, stress and many other ailments. Each massage session is custom tailored to the clients needs and incorporates different modalities such as Swedish, deep tissue, trigger point, sports massage and stretching. Each session is ended with a hot towel and refreshing beverage. I look forward to having the opportunity to earn your trust and loyalty while providing you with superior services. I’m so happy I found Elite Skin & Lash. My lashes look amazing and I get compliments everywhere I go. Samantha is a joy to visit and her lash perfection is evident each and every time. I cannot say enough! I’m hooked… I love my lashes! Great Esthetician. Very professional and knowledgeable. Five starts! Samantha does an amazing job! All her work is fantastic! Everything we do evolves around making you feel happy, safe and joyful. It starts with your first step through the door all the way to the result of your treatments. We understand that some people are hard to please, but we will do our best to ensure you receive elite class experience. We live in times when technological advancement improve our life on a daily basis. At Elite Skin and Lash we constantly introduce the latest and greatest verified treatments and skin care products in addition to proven selection we have offered for years. This constant desire to perfect our offering is a strong driving force in our spa. We attribute much of our success to our incredible staff, and are firm believers in taking care of the talented people who, in turn, take care of our guests. Our unique “culture of caring” a coupled with expert knowledge of the beauty industry is the cornerstone upon which we founded Elite Skin & Lash. We have designed our treatment allowing you to use time to switch off the stress of your everyday life and reflect, relax, and recharge your body and mind. Estheticly pleasing and clean environment of our spa can provide emotional relaxation, allowing your worries to melt away. Indulge in our Signature Facial which will cleanse, tone, and moisturize with customized formulations chosen by our skin care experts based on your skin type.